The PRC-112() Survival Radio replaces the PRC-90 family of survival radios that are issued to military aircraft crew members. The problem with the old survival radios was that they were simple beacon transmitters with no ID capability so when one went off accidentally (a common occurrence considering that there are roughly 556,000 121.5 MHz beacons and 429,000 406 MHz beacons) there was not an easy way to tell if the signal was real or not making for a lot of wasted effort. Satellite monitoring of the old analog survival beacons was shut down on 1 Feb 2009. The new 406 MHz survival beacons each have a serial number and other identification information built in. A rough position can be determined just from the 406 Mhz carrier and the motion of the satellite that's receiving it. A much better position can be obtained if the beacon transmitter includes a GPS receiver. As of 2009 there were about three quarters of a million 406 MHz beacons operational. In the movie "Behind Enemy Lines" this is the radio used by Owen Wilson throughout most of the story. It even makes static noises after the tank attacks a building in Hoc with the battery removed. PRC-112() with frequency of Programmable operation (225 to 300 MHz) and a personal ID number (actually the SARSAT data set) on 406.028 MHz. The AN/ARS-6(V) is the aircraft interrogator system that interoperates with the PRC-112 giving the pilot either bearing or bearing and distance to the survivor. The original PRC-112 (no letter) looks identical to the PRC-112C except for the label. The PRC-112 is a step up from the PRC-90 in that it has more channels (two of them can be programmed) and Distance Measuring Equipment (wiki: DME) built in. When a search aircraft gets within line of sight of the PRC-112 it can send a burst transmission on any of the non beacon channels and if the PRC-112 is not transmitting it will respond to the aircraft. Note the aircraft needs to know the ID# (000000 to 999999) of the radio. While doing so a light on the PRC-112 will be on for about eight seconds telling the survivor that someone is getting his range and bearing. This version does not have GPS and does not support SARSAT 406 MHz digital data. The TS-4317 Communications analyzer supports the DME mode of the PRC-112. There are 9 variations on the basic PRC-112. 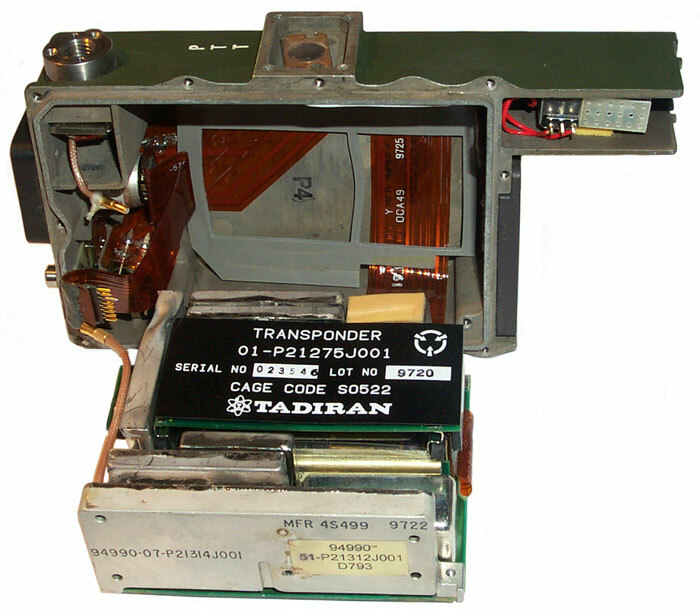 In Fig 9 above showing the modules inside the PRC-112 you can see a distorted module to the left of the TADIRAN Transponder. The module at the right top (next to the Transponder) is a 72 MHz TCXO. The module at the front marked D793 has a coax that leads to the antenna. The right hand red wire at the very upper right (in the narrow part of the chassis) is connected to the battery socket negative battery terminal. There's 10 Ohms resistance between the two red wires when the power is on or off.. The metal can with the two red wires may be a filter in the negative DC power line. The cover is held on by what may be Bristol Key Chart head metric 2.2-0.45x9 mm screws. A 0.050" hex wrench will fit into the hole, but when turned tends to strip leaving a round hole. Kroil penetrating oil is also a helpful thing to have on hand. Some of the screws may have been eopxied to prevent their removal (maybe also the reason for using Bristol heads). More when the wrenches arrive. The L-key wrenches arreved are are the wrong set. This set marked "Bristol Wrench" & "Spline Key Kit" contains 10 keys and is sold on eBay as "SS-408 - Bristol Spline Wrenches Collins & Bell Howell". 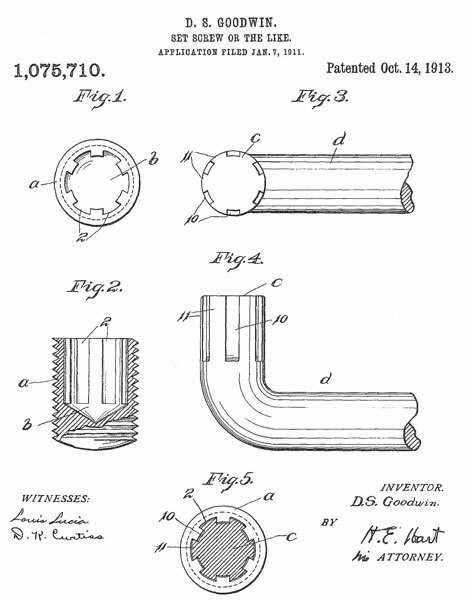 It contains: -060, -069, -072, -076, -096, -111, -133, -145, -168, & -183 spline L-keys. All of them too large. 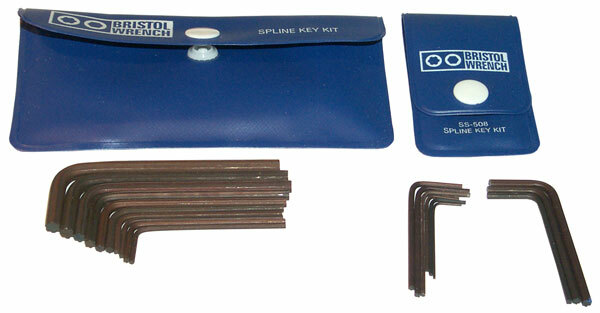 The "SS-508 Spline Key Kit" is the one needed for the PRC-112 cover screws and has 9 l-keys. Max-Gain Systems sells them on line for ham radio and electronics. After picking out the epoxy on a few screws and using Kroil for many days there were screws that just would not budge with reasonable force. Using a 500 Watt soldering iron on the screw head did not help. What worked was drilling out the screws. Once the cover is removed to free up the module assembly the four corner screws on the printed circuit board can be removed. Leave the four screws in the center of the PCB since these hold modules. The top (closest to the cover) internal PTT screw needs to be removed since it also goes into the module assembly. Adds type 1 Voice encryption. This is the basic PRC-112 with the Motorola GPS applique and Hook waveform. Works with the Quickdraw 2 interrogator, Rockwell RSC-125G, Cubic ARS-6 Ver12. The PRC-112B (and later versions) probably looks like the PRC-112G, i.e. with the LCD screen and input buttons for 2-way text messaging. adds GPS, 2-way messaging and encryption to the PRC-112C in a new applique. Made by Motorola this is just the basic PRC-112 radio without GPS and without SARSAT data. It has the improved sensitivityhe and knob upgrades (GD p/n 01-P21261J004). 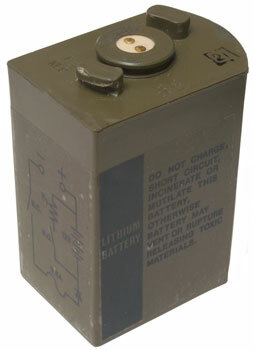 In Fig 3 above of the battery connector you can see that there are five electrical contacts surrounding the two battery terminals. Two of these are for the programmer interface. 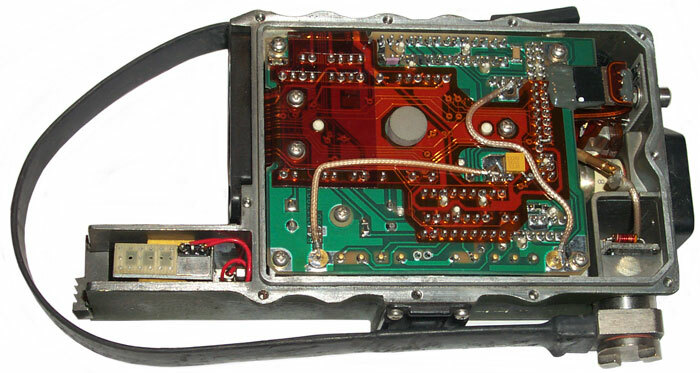 In Fig 4 above of the top of the KY-913 programmer you can see the two programming pins surrounding the two battery terminals. 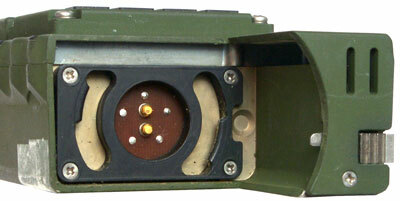 Note in Fig 6 above that the KY-913 battery connector has the same five terminal arrangement surrounding it's battery terminals. This must for testing and flashing the memory of the programmer. 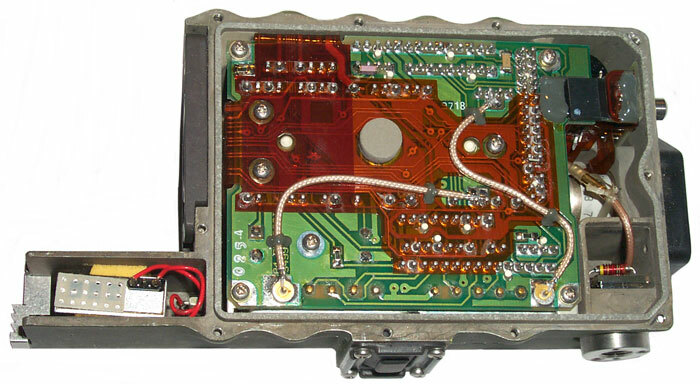 There is an adapte cable made by Aeroflex that interfaces their communications tester to the radio battery connector and has the 5 interface pins in addition to the two battery terminals. There might be an antenna adapter that can be installed by removing the tape antenna and screwing it onto the radio so that a D&M type satcom antenna can be fitted. The antenna is held to the radio with what looks like a 5/16-24 bolt. There appears to be a coax connection possible but it would require a special adapter with 5/16-24 threads and a center conductor. Made by Engineering and Professional Services (EPS). Finished their 1,000th PRC-112D on March 24, 2006. Made by upgrading the modules in the PRC-112. Adds Built In TEst (BITE) and battery life indicators. EPS worked with Tadiran Spectralink on the PRC-112D. They also developed a Helium leak test for the PRC-112C because some radios got seawater inside. Feb 01, 2003 Made by Tadiran Spectralink Ltd. See the PRC-112D above. Might not have been made? 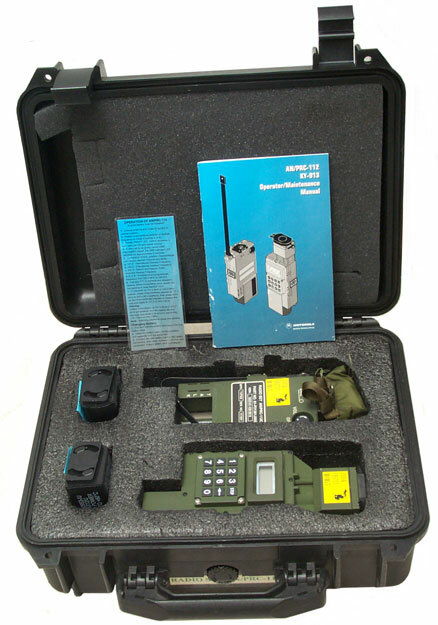 Made by General Dynamics and includes GPS, UHF satcom digital 2-way messenging & encryption. Uses Software Defined Radio (SDR) technology. Has LCD screen and a number of buttons to interface with the screen. 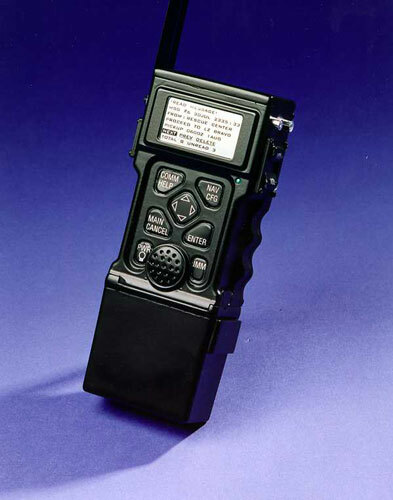 June 16, 1993 Motorola, Inc., GEG, Scotsdale, Ariz., $8.3 million new work modification to a firm fixed-price contract for the production of a basic quantity of 611 AN/PRC-112 Survival Radio Sets, an option quantity of 1,1583 AN/PRC-112 Survival Radio Sets and an associated data item. 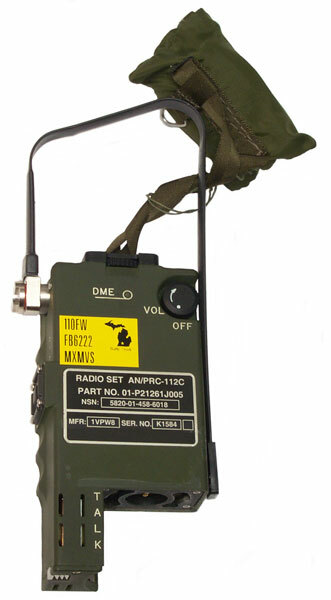 These radio sets are necessary to achieve first-pass rescue capability for downed crewman, minimizing the loss of survivors to the elements or the enemy. Maybe the kit shown at the top of this page. APRIL 20, 2000 AN/PRC-112C SURVIVAL RADIO SETS SOL DAAB07-00-R-B035 DUE 051200 POC Cindy Cook, Contract Specialist (732)532-5415, Vernay Salas, Contracting Officer (732)532-1257 WEB: CECOM Acquisition Center's Business Opportunties page, http://acbop.monmouth.army.mil. E-MAIL: salasv@mail1.monmouth.army.mil, cookc@mail1.monmouth.army.mil. This acquisition is being issued as A Sole Source to Motorola, Scottsdale, AZ. This is to acquire 635 each AN/PRC-112C Survival Radio Sets. Sep 28, 2001 Motorola sells it's Integrated Information Systems division to GD. June 27, 2003 General Dynamics Decision Systems, Inc., Scottsdale, Ariz., is being awarded a $6,354,315 firm-fixed-price contract to provide for assembly applique added to the AN/PRC-112 or AN/PRC-112C radio to make an AN/PRC-112B1 (Global Positioning System (GPS) capability) radio. This applique adds GPS, 2-way messaging and encryption to an AN/PRC-112 Multi-Mission Transceiver. Price includes installation on 1,167 customer-furnished AN/PRC-112s at $5,445 per kit. Total funds have been obligated. This work will be complete September 2003. The 16th Special Operations Wing, Hurlburt Field, Fla., is the contracting activity (08620-03-F-0154). Motorola (NYSE:MOT) Tuesday introduced its Combat Search and Rescue (CSAR), GPS-112 Personnel Location System. Motorola's GPS-112 transceiver sends encrypted global positioning data and two-way messages to provide essential, quick and accurate location and rescue information to aid in finding the grounded soldiers' location. Motorola's Quickdraw Interrogator can quickly plug into the intercom system of virtually any aircraft, transforming it into a CSAR platform. The information is communicated in a single, short burst to the GPS-112 hand-held radio. This technology provides rescue crews with a very accurate, Low Probability of Interception/Low Probability of Detection (LPI/LPD) system enabling them to locate missing crewmember(s). 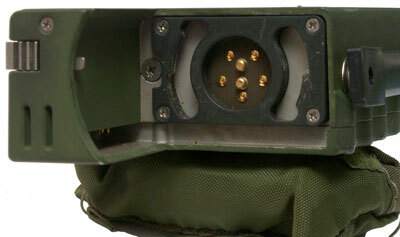 "The GPS-112 Personnel Location System combines the field-proven benefits of the Motorola CSAR radio with the convenient hand-held Quickdraw Interrogator to provide our customers with a high level of accuracy," said Gary Johnson director of radio products business unit of the Motorola Information Security Systems and Products Division. "Military and government personnel, around the world will have a new, powerful, secure option with Motorola's Personnel Location System." 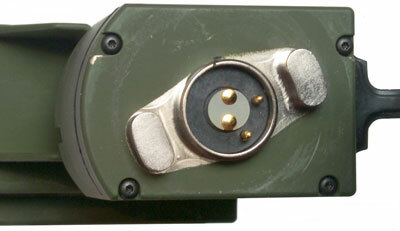 Hook 112 adds civilian GPS to the basic PRC-112 as an applique done by Motorola. The CSEL has replaced the PRC-112. The Combat Survivor Evader Locator (CSEL) (FAS: CSEL, Boeing, Thales, ) integrates the GPS into the radio and supports the digital SARSAT data. The Air Force has awarded Rockwell a $13 million contract for a worldwide communications system that would be used to search for downed pilots in combat environments, the company said yesterday. The Combat Survivor Evader Locator (CSEL) is a lightweight, low-power, over-the-horizon radio using an integrated Global Positioning System receiver. 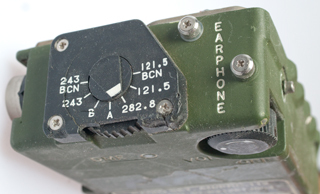 The radio would be used in environments like the one Air Force F-15 pilot Capt. Scott O'Grady found himself in when he was shot down over Bosnia last year. It took rescuers about a week to find him. The FY '98 DoD Director of Operational Test and Evaluation (DOT&E) report says that Boeing's [BA] Combat Survivor Evader Locator (CSEL) system, which guides rescue units to downed pilots, is not acceptable for combat use. "The CSEL configuration tested is not effective and not suitable," the report says. CSEL is intended to replace the PRC-90 and PRC-112 survival radios now used by aviators of all four services, providing a satellite communication link and real-time position data. FT. BELVOIR, Va.-The Air Force and Boeing [BA] recently said that the Combat Survivor Evader Locator (CSEL) program has demonstrated significant improvements in the past year after the Pentagon ruled it was not acceptable for combat use. BA-5301/U AN/PRQ-7 Non-rechargeable Battery Pack (NSN: 6135-01-512-8740) The non-rechargeable battery pack provides 2.8 Amp-hours of power and weighs only 8.4 ounces. The pack contains a memory device that communicates its remaining capacity to the CSEL HHR. DOT approved for commercial ground/air transportation. J-6769/U AN/PRQ-7 SPC Adapter, PN: BTA-70581-2, (NSN: 5980-01-526-8017) Used with the PP-8498 SPC to charge two CSEL Rechargeable battery packs. Backward compatible to the earliest CSEL battery packs. Four (4) are required to populate all stations in PP-8498 SPC. Radio Set Adapter (RSA Nano), PN: 4866118-101 Installs between the battery and HHR for mission parameter upload and download. Used to load SAASM GPS Crypto Keys. Includes Serial/Crypto Fill Y-Cable, quick-guide and canvas pouch. These are the devices that find the survival radio. Most are mounted in aircraft either as avionics or as an add on to the intercommunication system. There are also suitcase interrogators and hand held units. The hand held unit plugs into the aircraft intercommunications system (i.e. Quickdraw). The suitcase unit may contain a LST-5 UHF Satcom radio and so could be operated anywhere. The GD Satcom base station uses the PRC-112G (or maybe a special version with external antenna connector and laptop interface to send and receive encrypted digital messages. This is the GPS-112 and Quickdraw Interrogator. Is an improved method of using the AN/AYD-1 Personnel Locator System by adding GPS to the search aircraft and using Time Of Arrival and cooperating beacons between search aircraft to improve the survivor location from about 100 meters to better than 10 meters. "The search and rescue interrogators are typically suitcase sized and include a GPS receiver, portable computer, LST-5 (UHF) radio, battery, power supply, etc. and weigh approximately 60 pounds. This suitcase interrogator is also very expensive." [an error occurred while processing this directive] page created 4 Feb 2010.